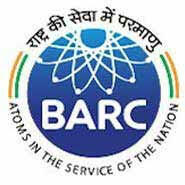 DPS BARC Jobs Recruitment Notification 2018.Directorate of Purchase & Stores under the department of Atomic Energy inviting applications for the positions of UDC, Junior Purchase assistant and storekeeper jobs.Interested and Eligible candidates can apply for the positions. Number of vacancies to be filled in DPS, BARC is 34 for UDC, JPA & JPK. Category wise vacancy details are given below. Diploma in materials management holders can apply. Aspirants must have computer data processing knowledge and should have minimum speed of 30 w.p.m in typewriting in English. Minimum age for applicants is 18 years, maximum age for applicants is 27 years. Age relaxation for SC/ST is 05 years, OBC is 03 years. Selected contenders will get monthly pay of Rs.25,500/- per month. Mode of applying for BARC DPS recruitment is through online mode from 01st September 2018 to 30th September 2018.
https://recruit.barc.gov.in/barcrecruit/main_page.jsp is the link for aspirants to apply directly.